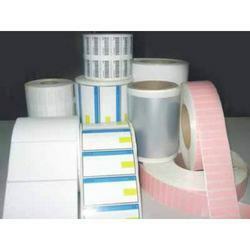 We are the leading supplier & manufacturer of Barcode Labels and Ribbons in the Indian market. We offer our clients a customized range of high quality Barcode Labels used in diverse industries for branding application. Our labels are well appreciated for their quality adhesive & high efficiency. These labels are made from quality paper and and are highly appreciated for its quality printing in the market. Our labels are available at very reasonable prices as compared to their designs, texture as well as the quality. 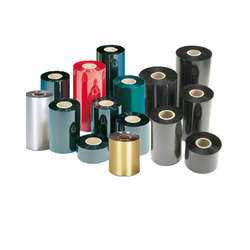 We are the leading supplier & manufacturer of Barcode Ribbons in the Indian market. The ribbons manufactured here is of very fine quality. Due to our exceptional quality services & providing timely deliveries of our projects, we have gained an excellent name & fame in the National & International market. These fabulous quality ribbons are available at very reasonable prices as compared to their designs, vibrant colors and quality. Looking for Barcode Labels and Ribbons ?